At Crystal Canyon ENT & FPS, our specialist is fully trained and board certified as a surgeon of the head and neck. This includes surgery for salivary gland tumors, thyroid nodules, enlarged lymph nodes and cancer. Though we offer complete care for all head and neck ailments, below are some of the most common head and neck issues. 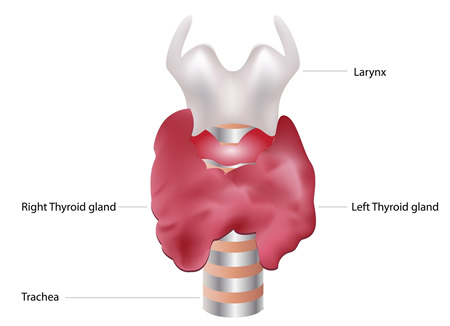 The thyroid gland is located in the middle of the lower neck, below the larynx (voice box) and wraps around the front half of the trachea (windpipe). It is shaped like a bow tie, just above the collarbones, having two halves (lobes) joined by a small tissue bar (isthmus.). You can't always feel a normal thyroid gland. Thyroid enlargement due to over activity (as in Graves' disease) or from under-activity (as in hypothyroidism). An enlarged thyroid gland is often called a "goiter." Though we offer complete care for all voice and swallowing ailments, below are some of the most common voice and swallowing issues. Most common cause of hoarseness is acute laryngitis- swelling of the vocal folds that occurs during a common cold, upper respiratory tract viral infection, or from voice strain. 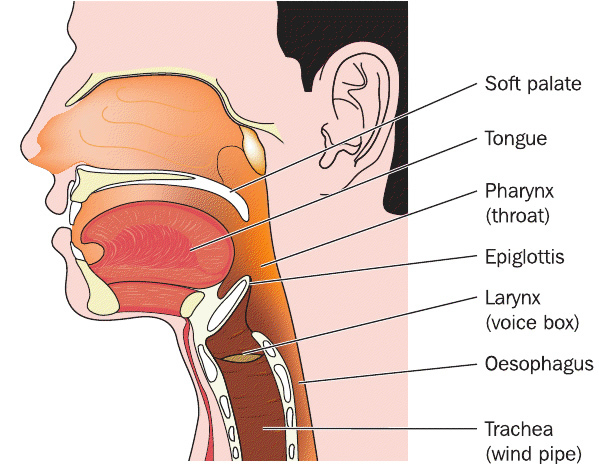 Serious injury to the vocal folds can result from strenuous voice use during an episode of acute laryngitis. Another possible cause of hoarseness is gastro-esophageal reflux (GERD), when stomach acid comes up the swallowing tube (esophagus) and irritates the vocal folds. Other typical symptoms of GERD include heartburn and regurgitation. Usually, the voice is worse in the morning and improves during the day. These people may have a sensation of a lump or mucus in their throat and have an excessive desire to clear it.